On Friday, August 1st, the Tom Joyner Foundation will host a panel discussion, “SOS!!! Philanthropy Paradigm Shift Needs for America’s HBCUs” in celebration of Black Philanthropy Month 2014. The discussion will be held on the campus of Texas Southern University during its National Alumni Association general opening session from 10:30-11:30am CST. Panelists include Thomas Joyner, Jr., panel facilitator, President/CEO, Tom Joyner Foundation; Wendy Adair, VP, University Advancement, Texas Southern University; Anthony Fairbanks, VP Institutional Advancement/CSU Foundation, Central State University; Valaida Fullwood, Interim Executive Director, Community Investment Network; Sharon Carr Harrington, JD, CFRE, AVP Institutional Advancement, Johnson C. Smith University; and Patricia Watkins Lattimore, CEO, Delta Research and Educational Foundation. Aligning with the theme of the Foundation’s mission to provide programming initiatives and partnerships in support of historically black colleges and universities (HBCU) and its communities, discussion topics will include the current level of philanthropy among African Americans and HBCU graduates, black giving to organizations other than religious institutions, best practices in HBCU giving and the future of Black philanthropy. The organizers hope to begin defining a new culture of giving geared toward understanding approaches and designing a wider range of relevant donor engagement strategies and techniques for HBCUs. The panel discussion will also announce the November 2014 HBCU Give-A-Thon for the Foundation’s HBCU of the Month institutions, and any other HBCU, in an effort to garner immediate and long term financial support for their school. Follow the panel discussion on Twitter at @TomJoynerFound and #bpm2014. The panel discussion will be recorded and made available on the foundation’s website. 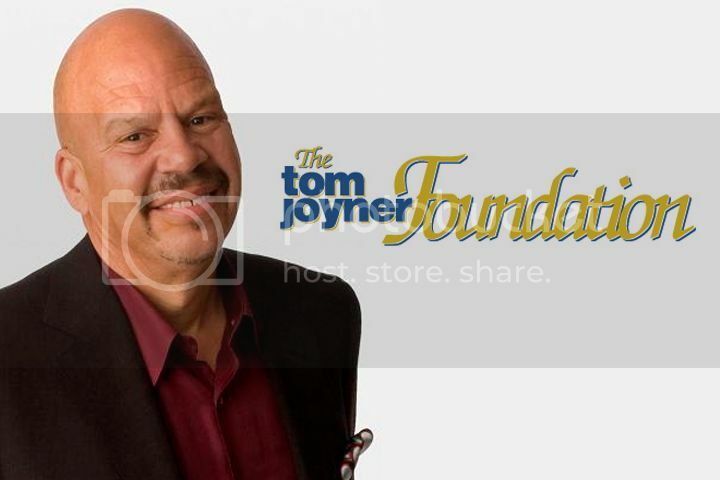 The Tom Joyner Foundation was founded in 1998 as the brain child of nationally syndicated radio personality and founder of BlackAmericaWeb.com, Tom Joyner. The Foundation has provided support to every HBCU during its history to help sustain and preserve the legacies of these valuable institutions. Through fundraising and donor development initiatives, $65 million has been raised to support more than 29,000 students attending HBCUs. Additionally, the Foundation has recommended internships, matching grant support, and career development to deserving students.